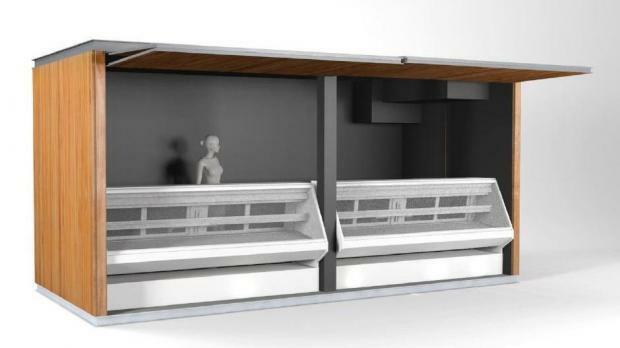 The kiosks' front panel would double as a canopy, the minister said. Kiosks to be set up at Valletta's Triton Square will have a simple iron and wood design, with restrictions placed on owners to ensure uniformity. Infrastructure Minister Joe Mizzi unveiled the proposed design of the kiosks this afternoon during a press briefing at the Transport Ministry. 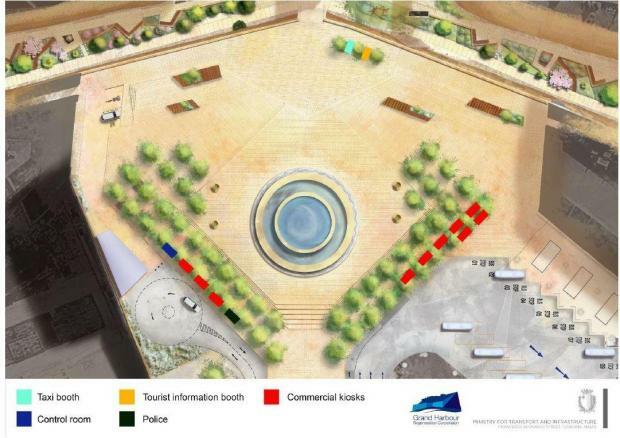 Mr Mizzi said that with the regeneration project well underway and going as planned, the next phase would involve the kiosks that will surround the square. Together with the Grand Harbour Regeneration Corporation, the minister said, the Ministry has come up with a sleek design for the 10 kiosks, which will all be identical. After analysing the flow of the people through the square as well as the function of the kiosks, a simple iron and wood look was chosen. Kiosks owners, who will be chosen through a tendering process to be launching in the coming months, will manage the interior to suit their requirements, he said. Last January, Planning parliamentary secretary Deborah Schembri had said that former kiosk owners would be given the right of first refusal to the new stands. The front panels of the kiosk will be hinged at the top and open up completely to reveal as much of the interior as possible. The opened panels would also serve as a canopy, the minister explained. The design is not final, Mr Mizzi added, insisting that anyone with other ideas and suggestions for alternatives should come forward as these could also be incorporated into the design.